The Rebellion is no more. The Empire is no more. In Star Wars: The Force Awakens, now it’s the Resistance and the First Order who battle each other for the fate of the galaxy, but what makes them different from their predecessors? 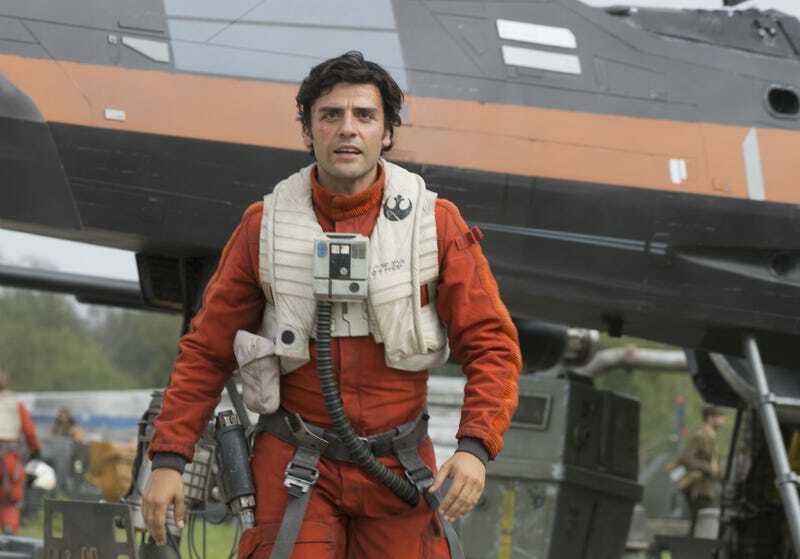 Resistance pilot Poe Dameron, played by Oscar Isaac, explained it to us, along with the history of Star Wars’ new X-wings. That does not sound like the grand victory people imagined for the Rebellion after the end of Return of the Jedi. Isaac also said “There’s less of them” and “It’s slightly less organized,” which pretty much paints a picture of the universe we’re going to see in Star Wars: The Force Awakens. Speaking of picture painting, Isaac explained how the character backstory he created for Poe before the film found itself in the Marvel Comic, Star Wars: Shattered Empire. That story itself features Dameron’s parents battling on Endor and even helping Luke Skywalker find a key piece of Jedi history. We won’t spoil it beyond that. Finally, when asked about Poe’s main mode of transportation, the X-wing fighter, Isaac had some great insight into how the iconic ships have evolved since we last saw them. So even though the Resistance is struggling against the First Order, they have the tools to do so. Plus, they have Poe’s undying loyalty. Star Wars The Force Awakens opens December 18.